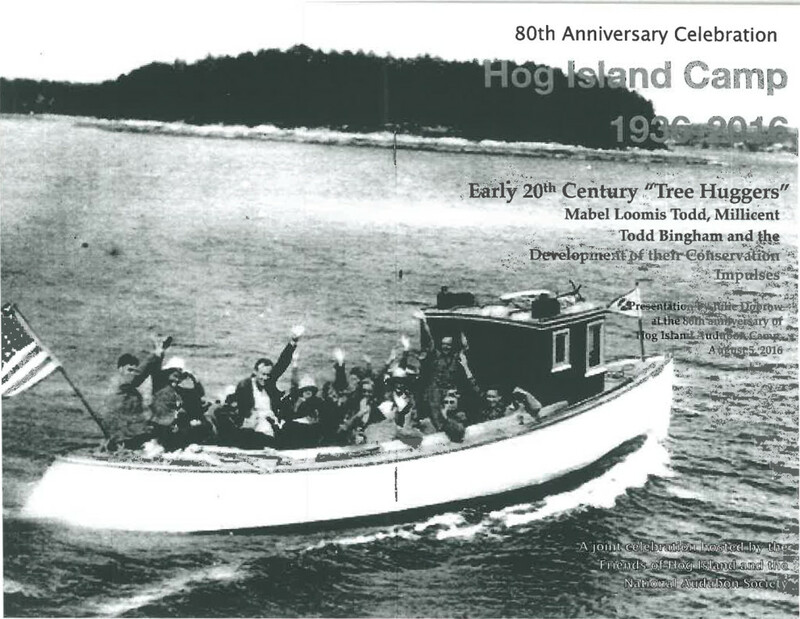 Early 20th Century “Tree Huggers”: a presentation about Mabel Loomis Todd, Millicent Todd Bingham, and the development of their conservation impulses – delivered at the 80th anniversary of the Hog Island Camp. Mabel Loomis Todd in the World: article for the Amherst History Museum to accompany exhibit I am co-curating. This piece focuses on the world travels of Mabel Loomis and David Peck Todd,and some of the items they accumulated along the way.